Contrary to popular belief, rhubarb is actually a vegetable, and not a fruit. 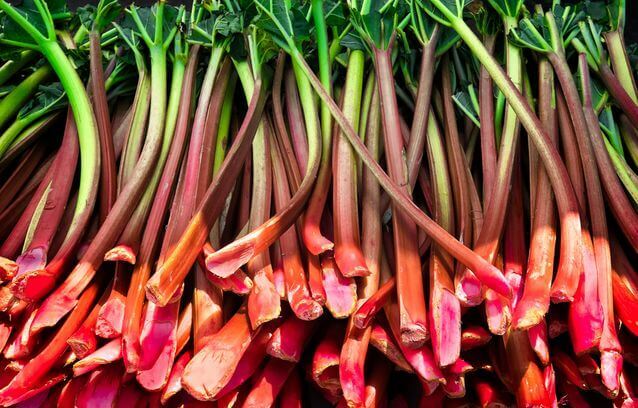 Even though it’s most often used in deserts and other sweets, rhubarb can make a wonderful addition to any dish, and also have amazing medicinal properties. 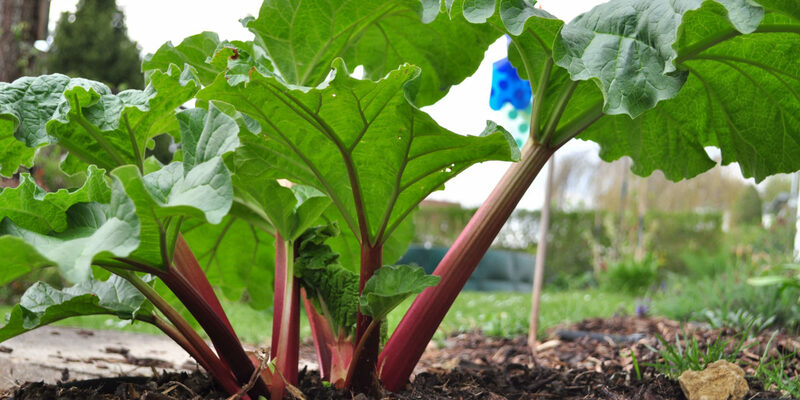 If you’d like to know how to grow rhubarb, keep reading and we’ll give you a step by step tutorial! Before you start to plant, make sure to remove all perennial weeds. Plant in an area that has good soil, well drained, and plenty of sunlight. 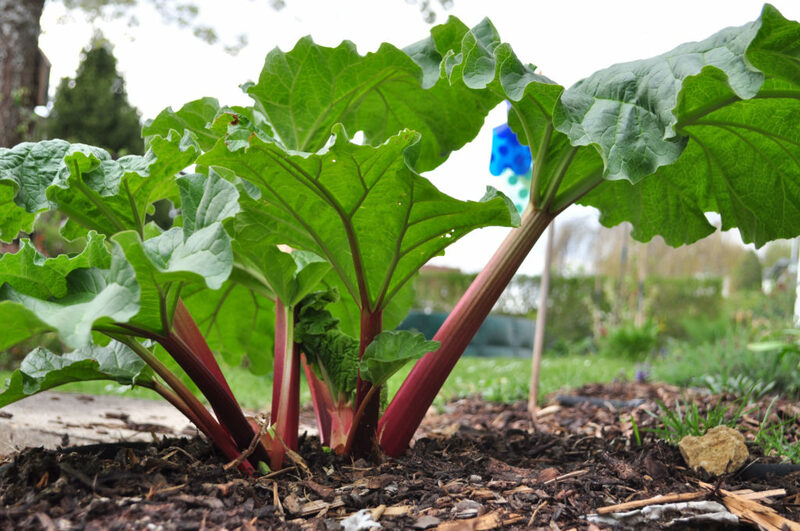 Rhubarb is best planted where the average temperature falls below 40F in the winter and below 75F in the summer. Plant one-year rhubarb crowns early in the spring. Dig large, bush sized holes and space the rhubarbs 4 feet apart. Plant them 1-2 inches below the surface of the soil. Mix compost, rotten manure, or anything that is high in organic matter into the soil. Do not add any fertilizers during the first year of growth. Mulch with a heavy layer of straw and cow manure. This will keep the nutrients and retain moisture. Water well, especially during the summer. Remove the seed stalks as soon as they appear. After the first spring frost, apply a light layer of high-nitrogen fertilizer. Dig and split the rhubarb roots every 3 to 4 years. During the first year of growth, do not harvest any stalks. Harvest the stalks when they are 12-18 inches long. This will usually be after 3 years. It may seem like a long time, but rhubarb is well worth it! How to Grow Rhubarb in a Pot or in the Garden was last modified: April 6th, 2017 by Aniela M.